One More Time With Feeling is the heartbreaking tale of how Nick Cave turned the grief surrounding the tragic death of his 15-year-old son Arthur into ‘Skeleton Tree’, Nick Cave & The Bad Seeds’ latest album. The documentary, which was screened in select cinemas across the world last Thursday, the 9th of September, features interviews with Cave, as well as footage of him recording his new album at Air Studios in London, where his creativity has been inspired by his son’s passing. Director Andrew Dominik, renowned for The Assassination of Jesse James, builds stunning visuals around Cave’s disembodied sound of the new record, combining 3D imagery with stark black-and-white imagery. Cave also provides a retrospective voiceover, which is brilliantly edited to fit around the conversations he is having in real time as presented in the film. As One More Time With Feeling progresses, fashion designer Susie Bick, Cave’s wife, becomes more of a prominent figure in the documentary. In one of the film’s most touching scenes, she shows off Arthur’s painting of a local windmill, while Cave sits by her side, deep in his thoughts. It quickly becomes evident that the couple channelled the pain of their tragic loss to help drive themselves and their careers forward. Bick, a successful fashion designer, got “lost” in designing a new line to channel what positive energy she could muster through her sorrow. The result of this is ‘Skeleton Tree’, the sixteenth studio album from Nick Cave & the Bad Seeds. Cave addresses the tragic passing of his son as early as the first line on the record: “You fell from the sky, crash landed in a field near the River Adur”. He also recalls his own preconceptions of death: “I used to think that when you died you kind of wandered the world, in a slumber ‘til you crumbled were absorbed into the earth. I don’t think that anymore”. Each of the eight tracks on the album are held together by Cave’s grief-filled, spoken word style of lyrics, which stand out through a combination of his profound voice and the overpowering bass and low tones. He sounds defeated. He sounds like a man on the verge of tears. It gives the listener a sense of Nick Cave’s emotional state and how he is coping with any parent’s worst nightmare. 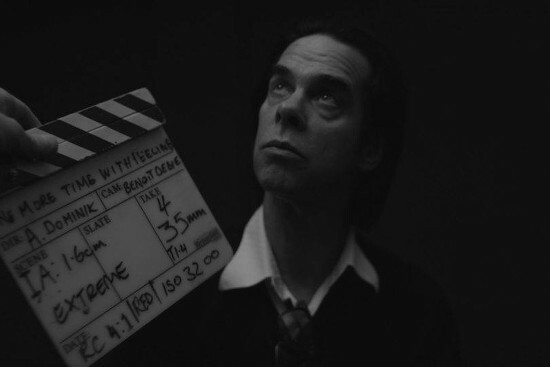 One More Time With Feeling and ‘Skeleton Tree brilliantly go hand-in-hand to give an insight into how Nick Cave and his wife dealt with the passing of his son. Whilst you don’t need to see the documentary to understand the trauma Cave went through, the album’s powerful sentiment will provide you exactly the idea of how difficult it was for him to make. Nick Cave & the Bad Seeds’ ‘Skeleton Tree’ newest album is out now on Bad Seed Ltd. Editor of TGTF Mary Chang contributed to this feature.